Furniture selection is often led by sight – the look of a dining room table in just the right light, the way that a couch can complement the colors in an area rug and the thought of one’s family lounging on a new patio set. 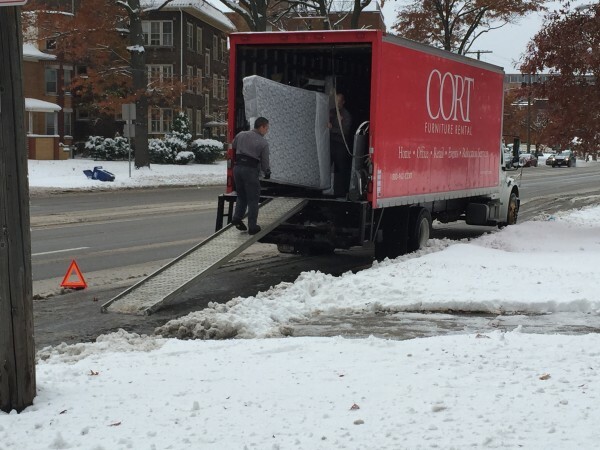 CORT, the nation’s leading provider of furniture rental services, needed customers and potential customers to see and understand the quality, style and value of their furnishings and accessories. Of course, it’s about more than just the product! CORT also wanted a platform to showcase the value of their service, which extends beyond furniture to transition services, office design and more. With this in mind, Largemouth led CORT through an impactful product placement program to bring CORT’s furniture and value proposition into the homes of millions of viewers nationwide. By partnering with a variety of networks and television shows, from The Apprentice to the Meredith Vieira Show, CORT was able to showcase its furnishing options and breadth of product offering to a captive audience. With Largemouth as a strategic partner, CORT was also able to ensure maximum brand exposure on both the show’s airing and after the fact through social media, media pitching and internal communication. CORT’s stylish, high-quality furnishings need no introduction when appearing on leading shows like “Fox and Friends,” “The Apprentice” and “Designing Spaces.” But Largemouth knew there was an opportunity to tell an even larger story about CORT’s value propositions and service offerings through these product placements. Largemouth worked strategically with show producers to make CORT a part of the story. On “The Apprentice”, contestants were asked to stage an office after shopping for furniture in CORT’s Manhattan showroom, showcasing not only the furniture but also the value and ease of home and office staging. During CORT’s first appearance on “The Celebrity Apprentice”, contestants Cyndi Lauper and Holly Robinson Peete visited CORT’s Manhattan showroom to pick out apartment furnishings and accessories to complete the episode’s challenge of staging a property for lease. And, in addition to maximizing on-camera opportunities, Largemouth accompanied each product placement with an integrated communication plan to its customers, employees, social media followers and partners to ensure no one missed the episode. More than 43 million viewers have seen CORT on some of their favorite television shows. Through dual-exposure to CORT’s furnishings and service offerings, these viewers were able to see what CORT delivers and why CORT delivers it better than any other furniture rental company. Even after their initial broadcasts, these episodes continue to make waves as they are used as sales tools and on CORT’s website, blog and social media.